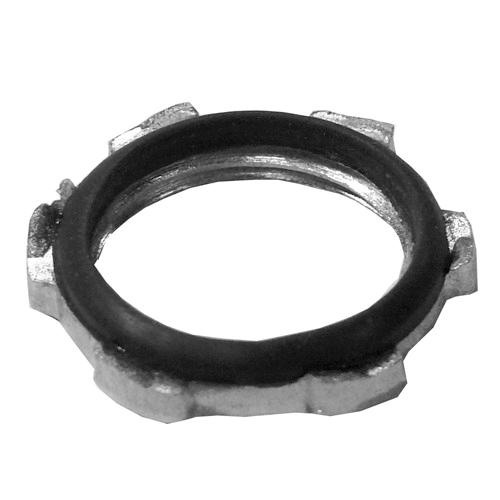 Appleton Neer® Standard sealing locknut of trade size 1-1/2-inches, provides rain-tight seal when securing threaded conduit or connectors with tapered or straight thread. This 2.37-Inch Dia threaded locknut in zinc-plated finish, features stamped steel construction that offers resistance to corrosion. This 0.3-Inch thick locknut comes with neoprene gasket to seal out the dust. Locknut is UL listed and meets NEMA FB-1 standards.